In the spirit of Chicago’s great legacy of public art and culture, Art on theMART is the largest digital art projection in the world. 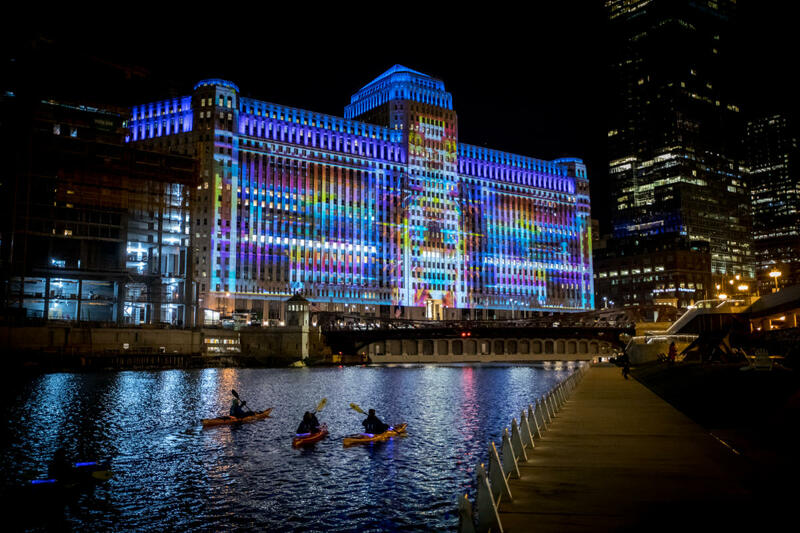 The first-of-its-kind for Chicago, projected across 2.5 acres (two football fields) of theMART’s exterior river-façade, this contemporary art projection adds to the city’s vibrant public art scene. This ongoing series of curated projection programs is displayed two hours a night (starting at sunset), five days a week (Wednesday – Sunday), for ten months of the year (March – December). Address: Wacker Dr. between N. Wells St. and N. Orleans St.